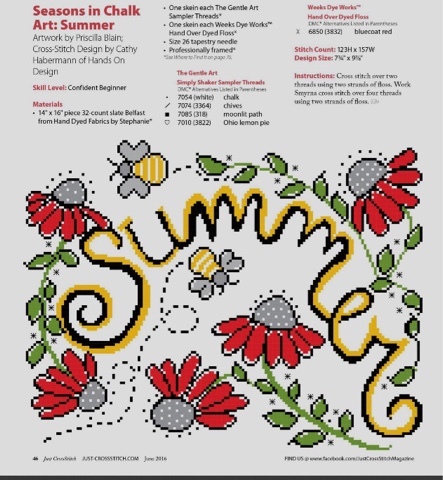 Another exciting day as the Summer Seasons In Chalk from Hands on Design and " me " has come out in the June issue of Just Cross Stitch ..It is out digitally right now..should be out on newsstands in a couple weeks.. Here is Cathy's stitched piece and my chalkboard..I still cannot believe how lucky and blessed I am that she asked me to do this.. and can we talk about how perfect the charting is to the chalkboard ! 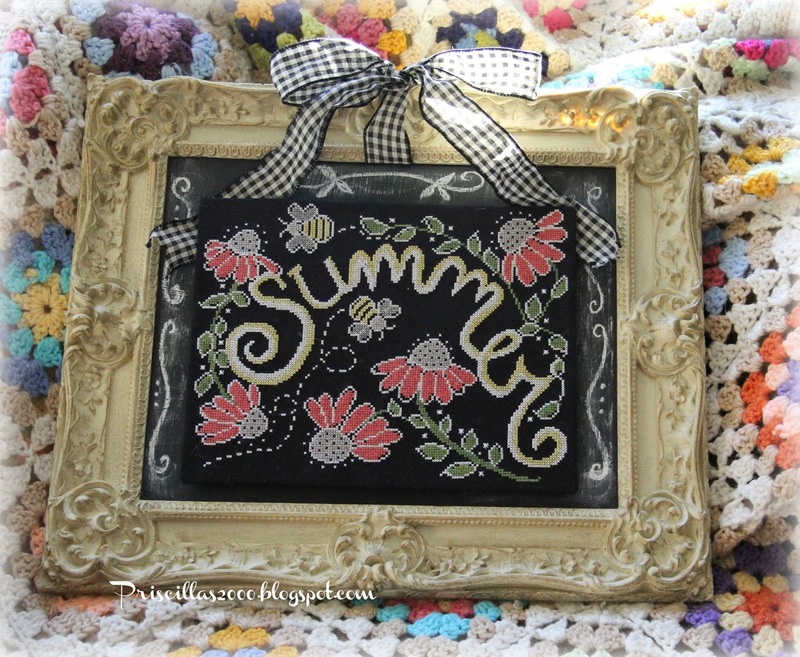 Coneflowers and bees are my idea of summer! 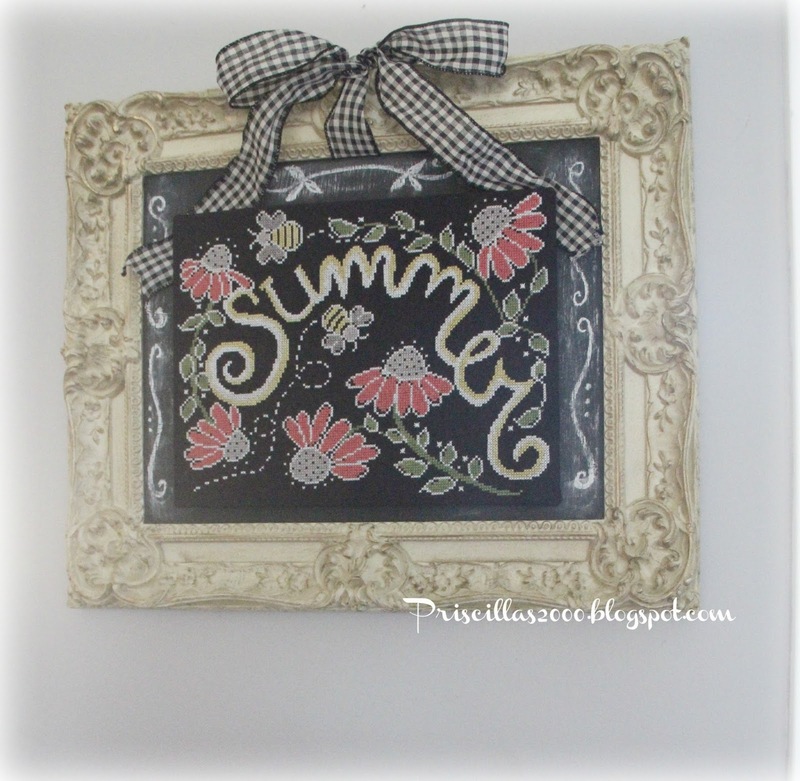 Mine is framed on top of a board painted with chalkboard paint inside of a thrifted Estate sale paint by number vintage frame. I use magnets on the chalkboard and little pieces of sheet metal on the back of the stitching.. you can see Winter here and spring here.. 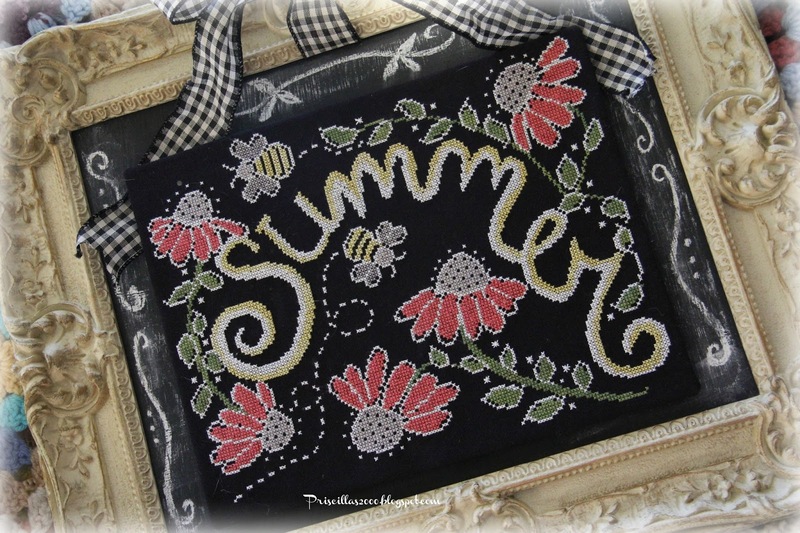 I also have stitched mine on 28 count black Monaco instead of the 32 count linen ..
My garden is filled with coneflowers .. Can't wait for them to start blooming again! Hope you enjoy stitching this and show me your progress pics ! Hashtag #seasonsinchalkart if you are on Instagram ..We would love to see them! 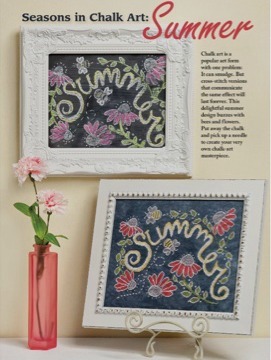 There are still 4 more designs to come ..and you are going to love them!! Very pretty! 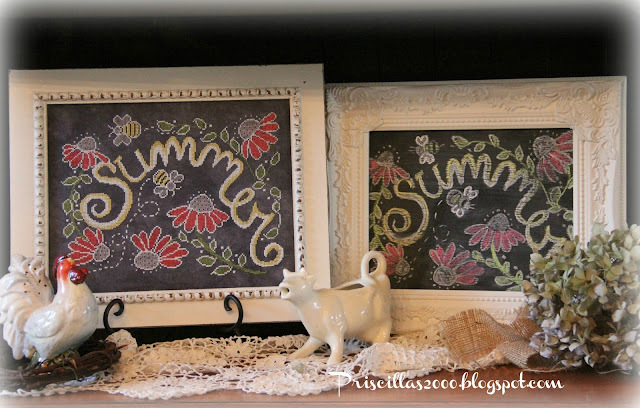 Your garden is so beautiful: I imagine it provides you with a lot of inspiration, though I'm not sure how you can upkeep all that goodness and find time for stitching too! I'm really enjoying this series in JCS! Thanks to both of you on this collaboration. This is gorgeous! I love it. Thank you! The new design is great. I will start looking for that magazine. Your inspiration flowers are beautiful. Congratulations on your latest collaboration with Cathy--Summer looks fabulous, Priscilla! So pretty!! 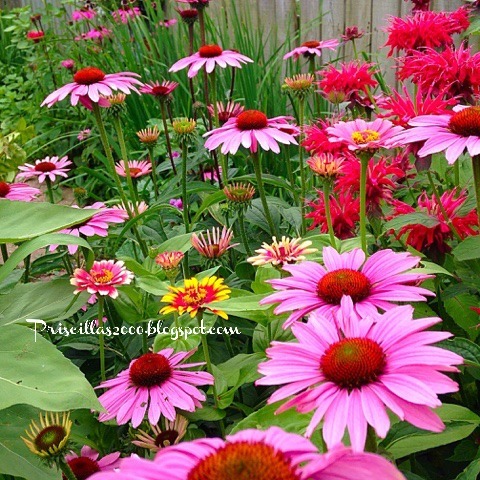 And your coneflowers from last year are stunning!! We had a bit if snow yesterday so Spring is in the processing of trying to hold on here in NEPA!! I love your handwork, the way you make your home warm and welcoming. Your gardens are lovely and your love of your doggies. Think that is why I enjoy reading your blog. 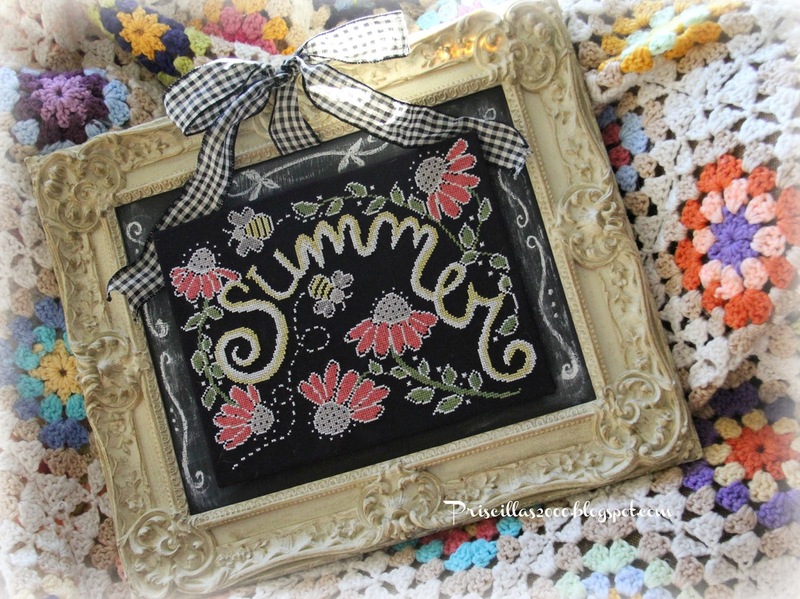 OH this chalkboard stitching is super cute!